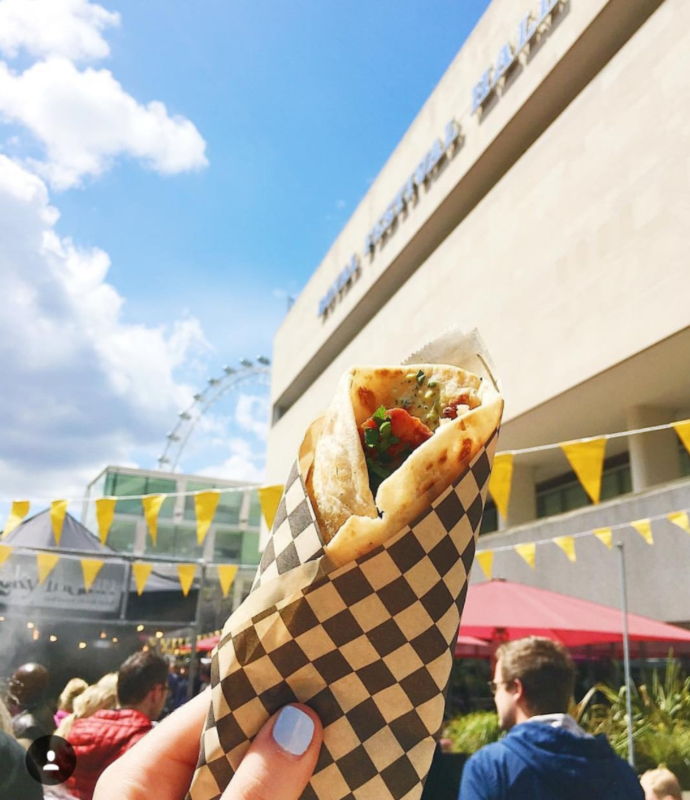 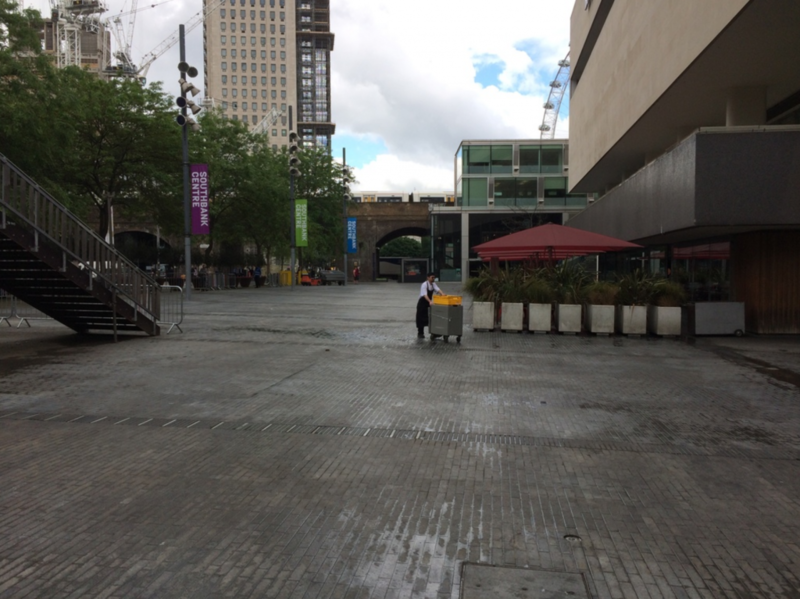 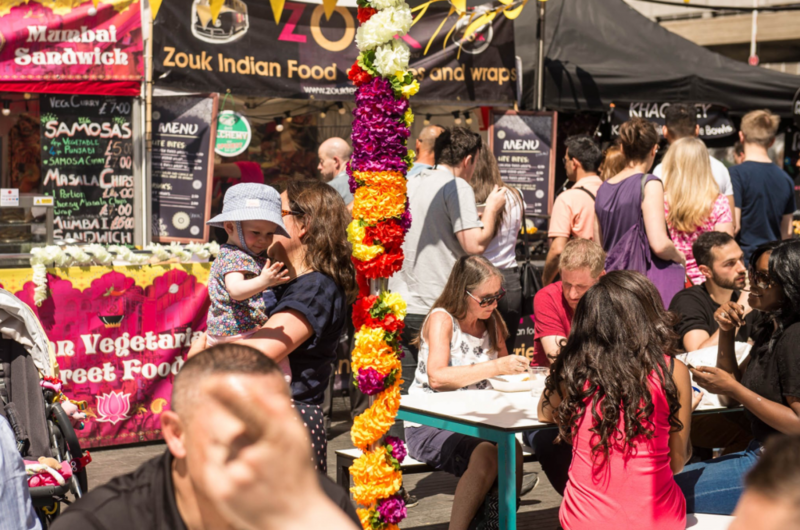 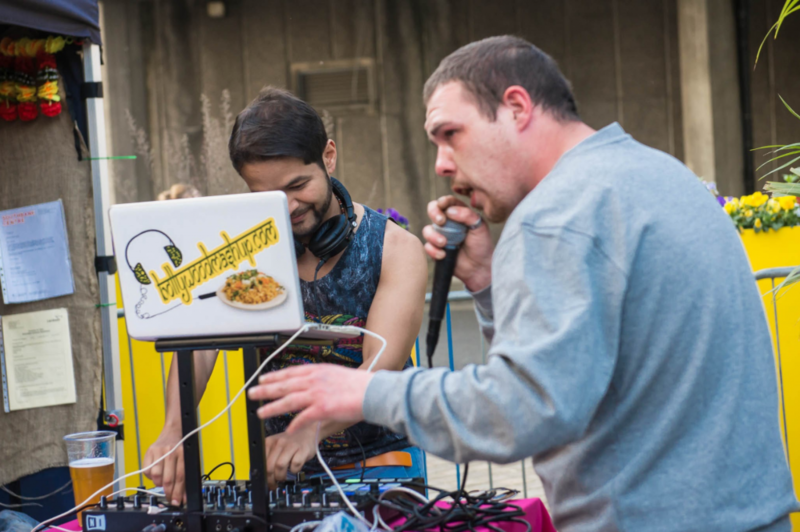 Setting the SE1 square ablaze with bhel puri and fresh tawa naans, if you missed our 12 day festival of spice down on the Southbank last week see the highlights below. 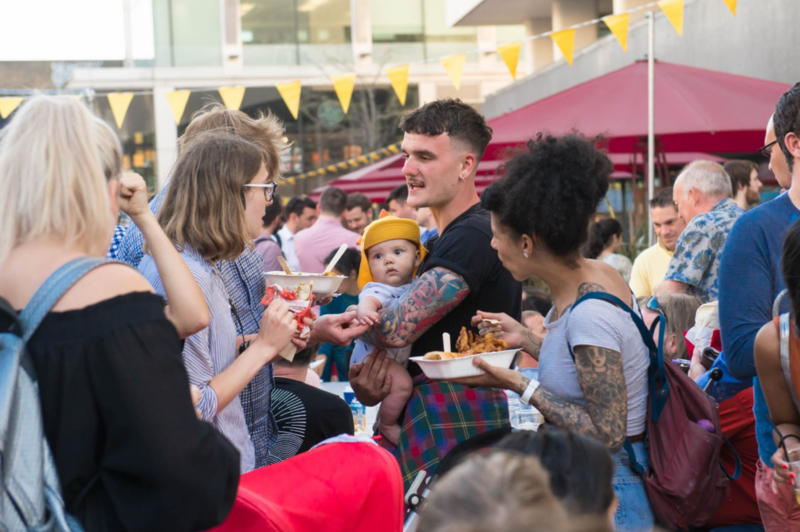 Thank you to everyone who came down to soak up the heat, and all our KERBanists and guest traders for cooking up such a feast! 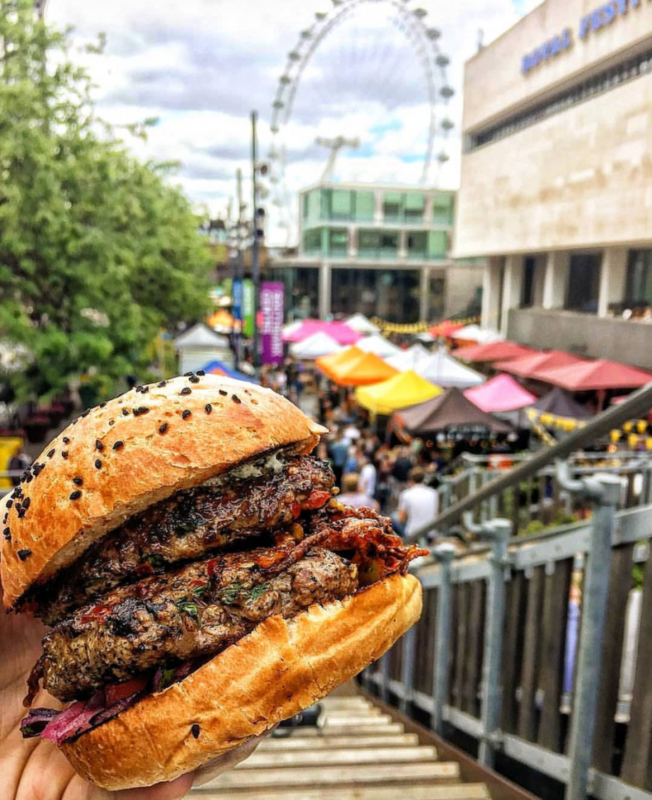 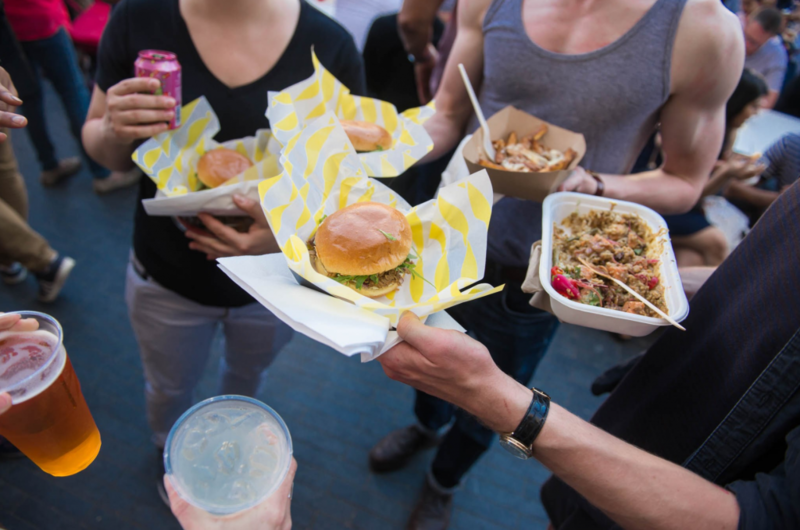 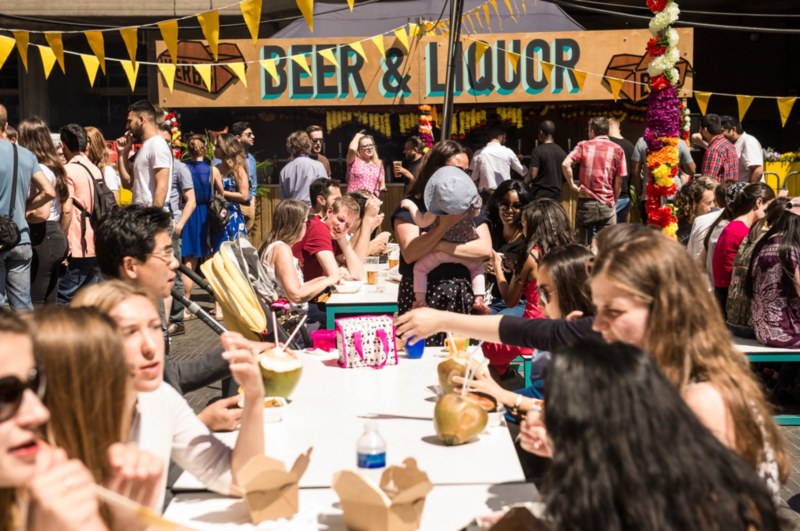 KERB picnics – raan burgers, ice cold Kingfisher pints, Beavertown Bloody Ale, Square Root salted lemonade , Spice Box vegan tandoori cauli steaks and peanut potato curry. 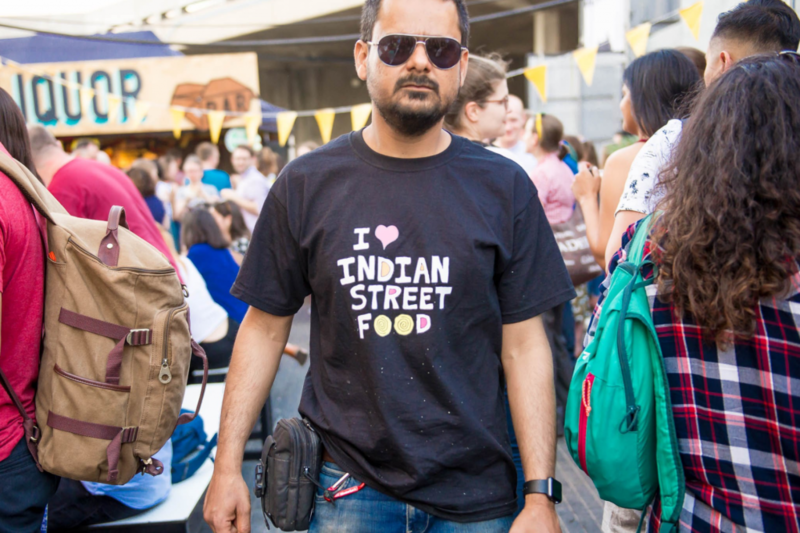 KERB fashion(!) 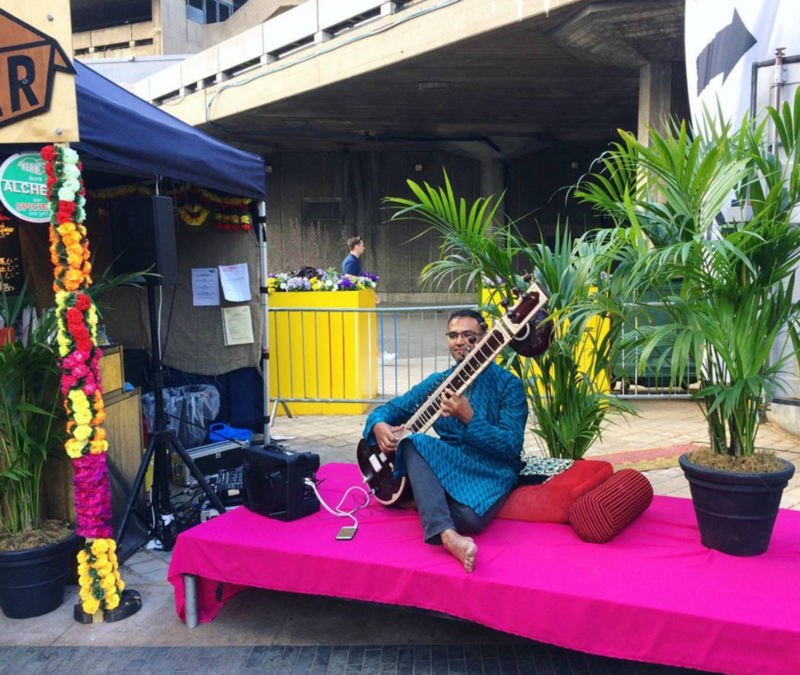 Sound the Horn Ok Please for dosa-mobster, Guarv. 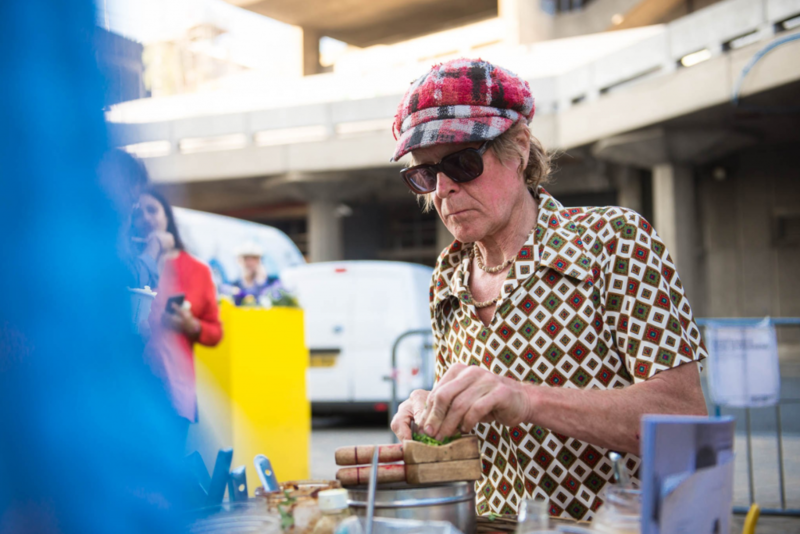 … And Bengali chaat-chopper / KERB guru, Angus Denoon. 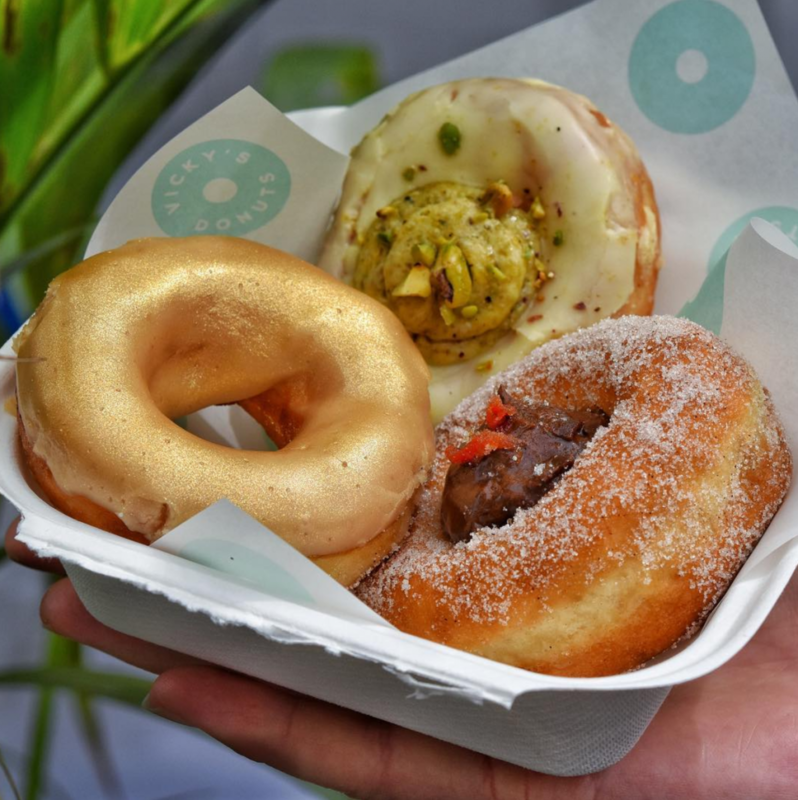 VICKY’S DONUTS: pistachio + orange crea, chocolate chilli pudding and masala chai glaze. 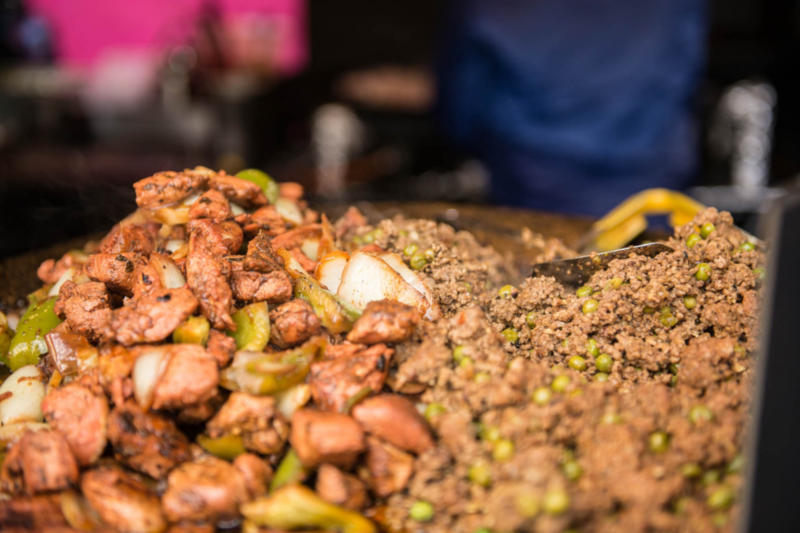 Penultimate night: swept up wide-eyed amongst a sea of onion bhajis, naan rolls, chilli cheese dosas and curry tubs. 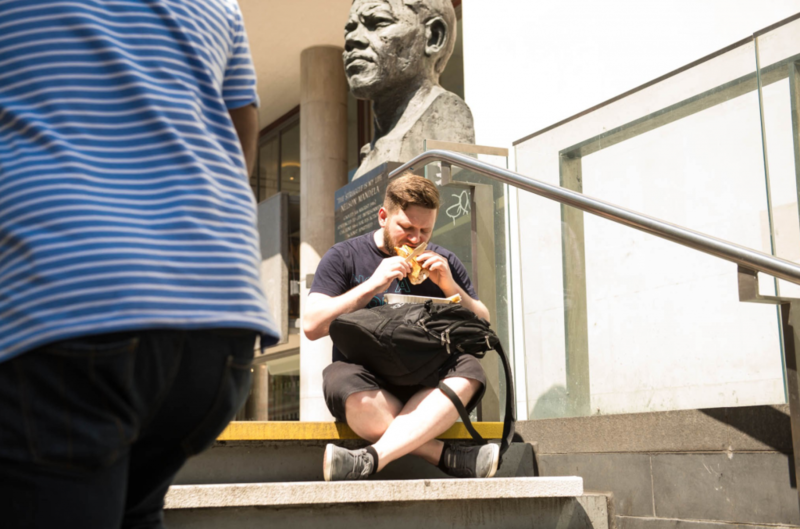 NEXT UP: NOSHVILLE. 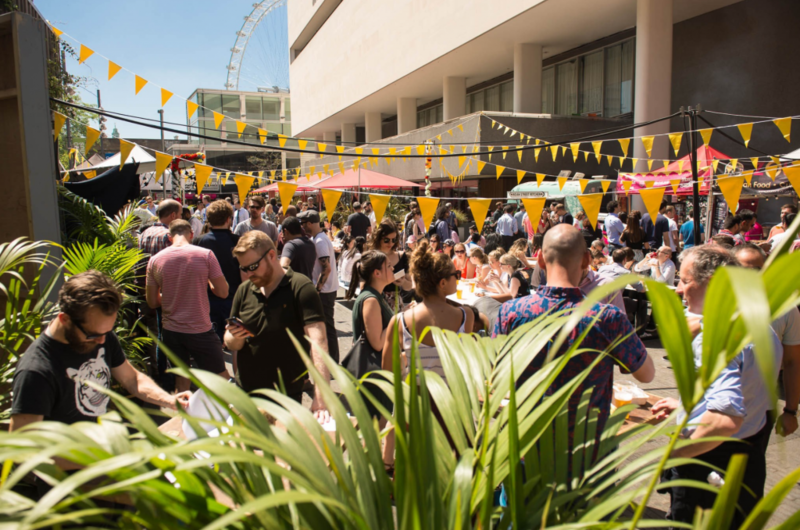 Our Americana weekender on Granary Square, 2 & 3 June.